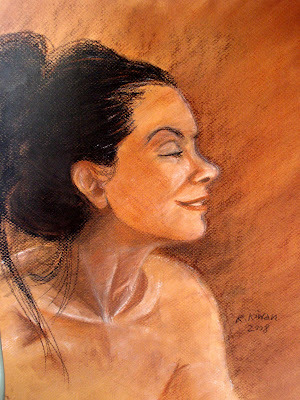 This is a trial with Conte crayons of my favorite model. I think it looks good for a start! I love this!! It's beautiful. Do more of these!!! Thank you anonymous. I am trying these Conte crayons out. I don't put everything on the internet because some of these attempts are bad. I'll keep practicing!